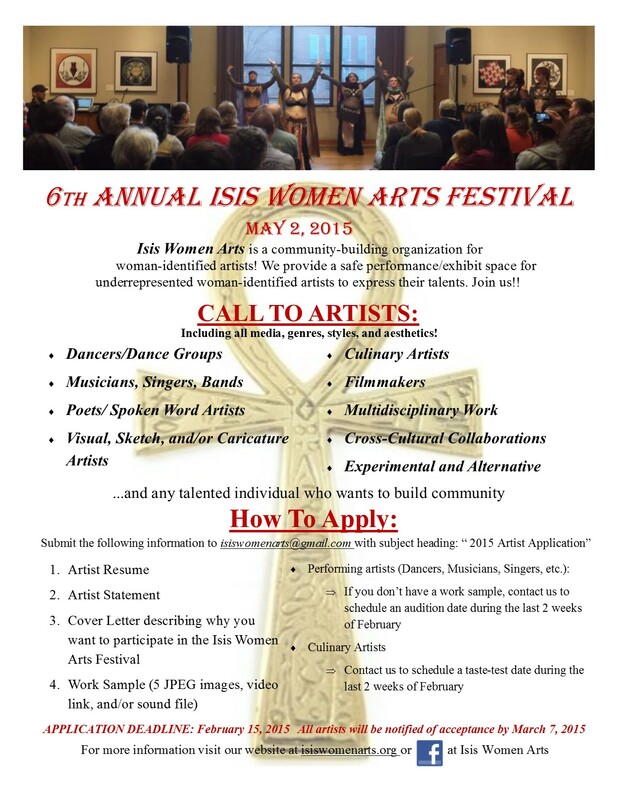 Isis is ready to head up its 6th Annual Isis Women Arts Festival and we are on a mission to showcase great talent and art. Are you a woman-identified artist? Do you feel underrepresented? Are you looking to be a part of a movement that embraces and highlights you? If so, then let your artistic light shine. …and any talented individual who wants to build community! Complete the application process by February 15, 2015. Check out the Call for Artists page for details.